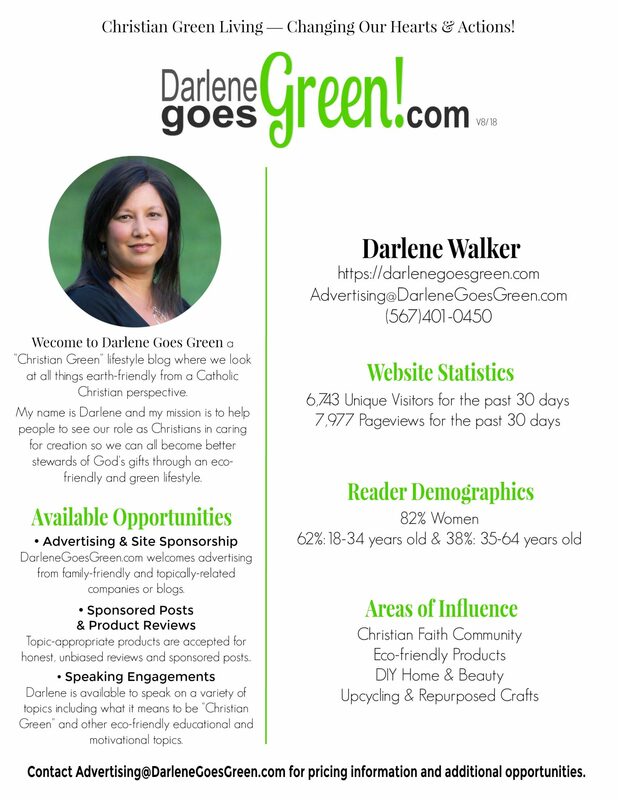 At Darlene Goes Green we encourage and support Christians (and other green friends) in their eco-friendly journey and stewardship of Creation. Honesty and integrity in advertising are very important to my readers, so we appreciate partnerships with companies, brands, and other bloggers who offer family-oriented and earth-friendly products. At Darlene Goes Green our niche-specific audience is looking for high-quality reusable, green and eco-friendly products not easily found when lost in the advertising crowd. Here, your budget will reach your specific and targeted green audience to make your advertising more effective. We look forward to working with you and your company!